If you don’t have a Priority Pass there are plenty of 2-4-1 deals and discounts available for No 1 Traveller – I think Tastecard (if you sign up for a free trial) does 2-4-1? Also 2 for 1 if you have a Caxton FX currency card. Taste card offer at Bespoke Offers for £50 (£20 off) with a free Android tablet. Can’t remember what it’s called, but this bears a similarity to the Lounge I stumbled upon at Stanstead when I was last there (a little bit earlier than I had planned) a couple of weeks ago – I too was pleasantly surprised! Yes that will be the No.1 Traveller at STN that you visited. Not as impressive as LGW North but a million times better than the Servisair offering! Glad to hear the STN Servisair lounge has finally gone as it was grim. I was lucky to get anywhere to sit in the BA lounge, I think we literally got the only free table left, which of course was still covered with the previous customers crisp bags etc by his was at 3ish PM on a Saturday afternoon too, so you can imagine what it’s like when the final domestics are due to go out on a Friday night! I haven’t tried other options but as a Priority Pass holder, No 1 North or (almost) don’t bother. Never had access issues but only been there 2 or 3 times. Of course, using either lounge is kinda funny when you’re flying EasyJet but with Priority Pass there’s no restriction. Works in Luton too! Raffles, I’m glad you liked the lounge but I’m afraid on the one occasion I used it I was far from impressed. First of all, they don’t guarantee access for Priority Pass cardholders unless you pre-book some form of additional service i.e. overpriced champage/spa treatment. Secondly, when I visited the only food you could get for free was cheese on toast. Thirdly, the coke is dispensed from a Subway-esque dispenser. The dispenser doesn’t have an ice function and on request at the bar ice was reluctantly given but a request for a can was refused (despite them being in their fridge). I will be interested to hear other people’s thoughts. Andrew – I agree with you on this. 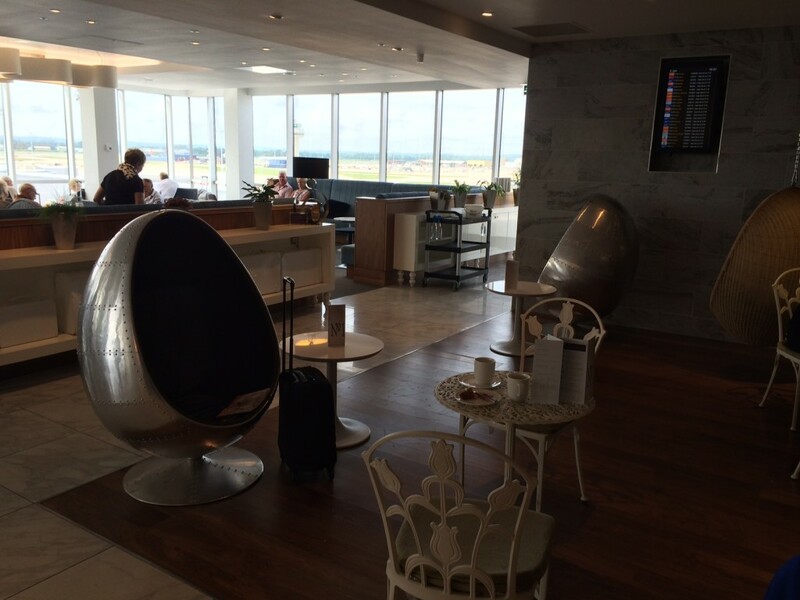 Last month my wife and I went to the BA lounge in the North Terminal. It was quite busy initially (although we found some window seats) but it emptied after a couple of flight calls and we thought it perfectly all right with a reasonable selection of food (regularly replaced) over the lunch time period. It was quiet too. Later I thought we would try the No1 Lounge. It was bursting at the seams – although we found a couple of seats after wandering around the entire area. I didn’t think the food offerings were at all comparable with the BA Lounge. There was quite a bit of clutter about and it was noisy with boisterous children around. It may just be that it is a function of the number of ppl in the lounges. 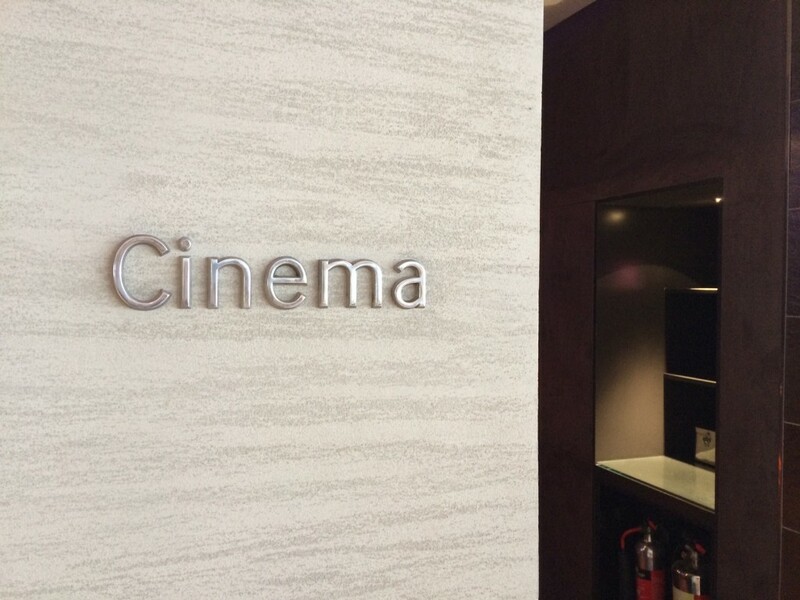 Raffles pictures provide an inviting impression of the No1 Lounge – it certainly wasn’t like that when we were there! 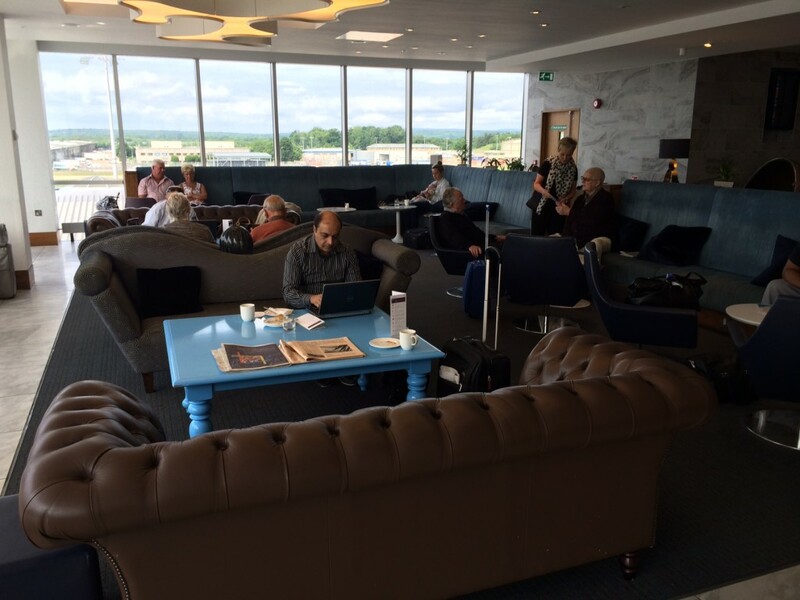 Was in new EDI No 1 last week – much more comfortable and tastier (if more limited) food than the BA lounge it replaced – and would probably choose it over the new BA lounge too. 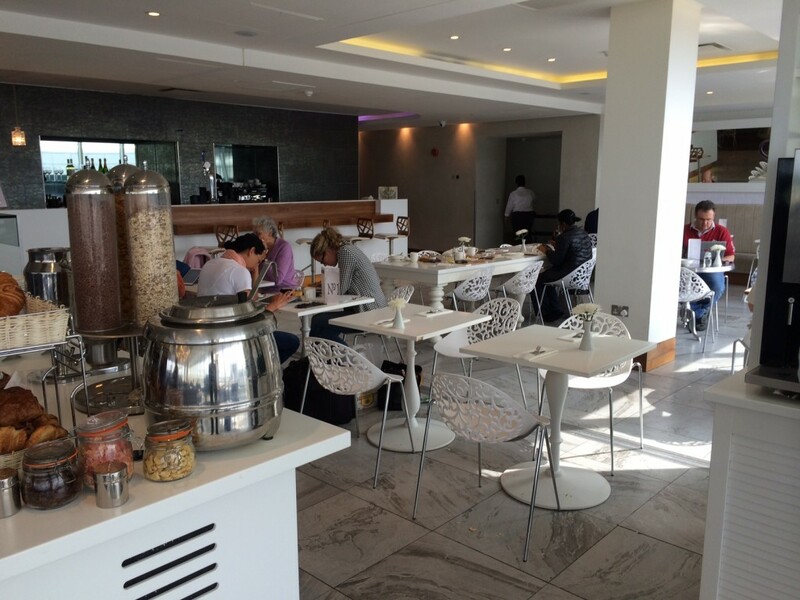 Please do report back on the new Aspire lounge where the old servisair used to be. On the No 1 front – I also visited their Birmingham one recently, very nice too. I was lucky to get anywhere to sit in the BA lounge, I think we literally got the only free table left, which of course was still covered with the previous customers crisp bags etc this was at 3ish PM on a Saturday afternoon too, so you can imagine what it’s like when the final domestics are due to go out on a Friday night! Agree completely – love the No.1 lounge there. The breakfast pancakes are particularly fine! When at North terminal, with BA status and Priority Pass membership one has the choice of the BA lounge, No.1 and a Servis lounge. Somehow the Servis lounge manages to be even worse than the BA one (dark, dingy, tiny and with the grumpiest staff I’ve met in a while). It looks similar to No 1 Heathrow which the kids and I really enjoyed. 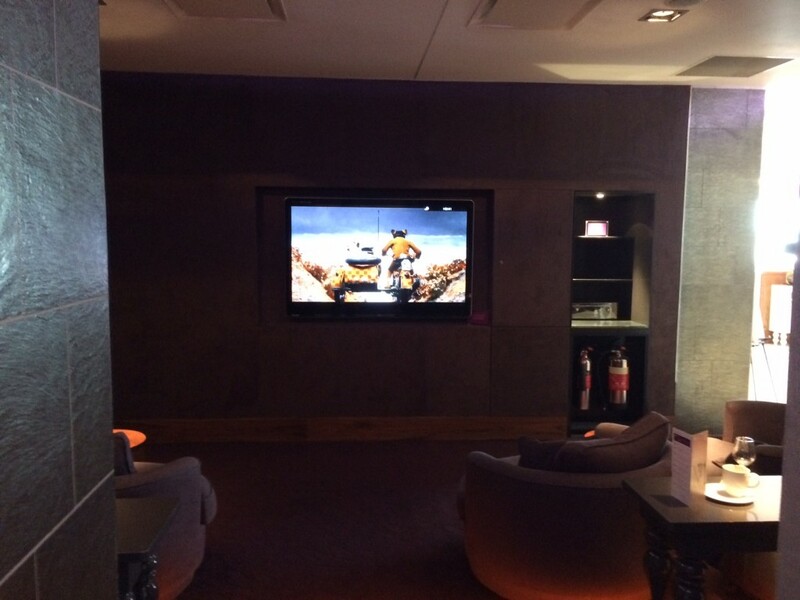 It’s certainly very good and, above all, personally speaking, relaxing, unlike many other lounges. There was definitely a reasonable assortment of food available when I was there a few weeks ago for breakfast. As I say though, for me the relaxation is important and one of the best spots for me is the almost solitary table on the left, as you walk in, in front of the TV. It’s almost like a personal seating area! Fantastic Mr Fox on Monday, as per the photo! I’ve been turned away from South because they were full. Seems that you need to time your arrival away from the waves of EZY departures. 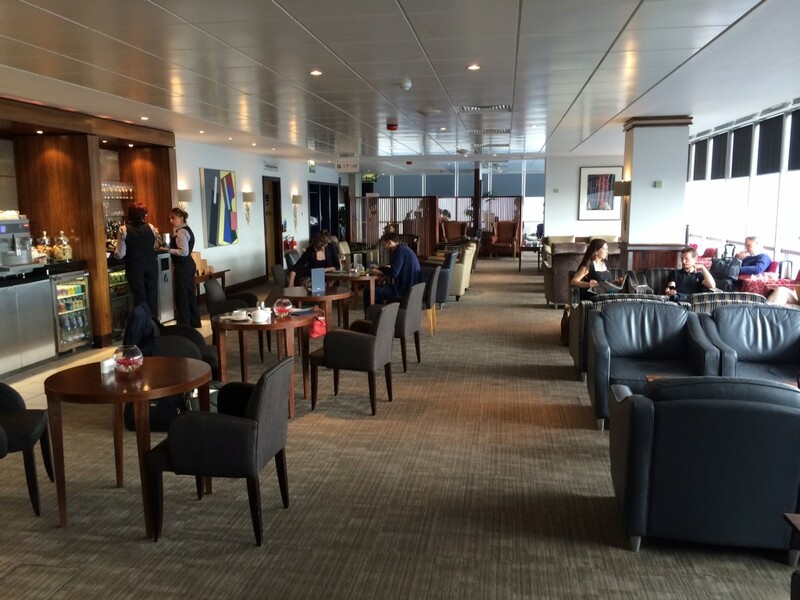 We have been in the No1 Lounge LGW north the last 2 trips the first was great and I would agree with Raffles, but on the second we had a bacon roll and headed to the BA lounge upstairs as it was dirty and the staff were at least abrupt going on rude. 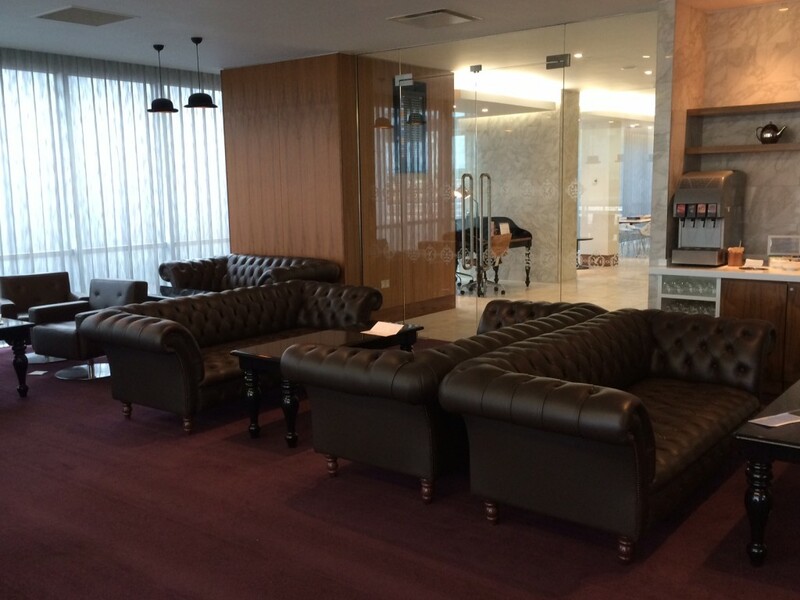 We tried to access this lounge recently, rocked up with our Lounge Pass cards courtesy of Amex Gold. The lady on reception instead pointed us down the corridor to the other lounge, Servisair I think. Will try harder to get into this one in the future, looks much better!